CADtools is a CAD extension for Blender-3D (a free open source 3D-content creation suite, available for all major operating systems). 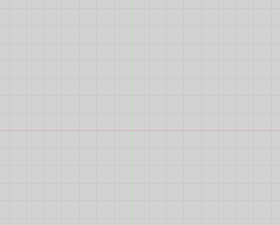 CADtools script is work in progress, though many parts can be used for production already. At the moment it supports only Blender 2.49b. 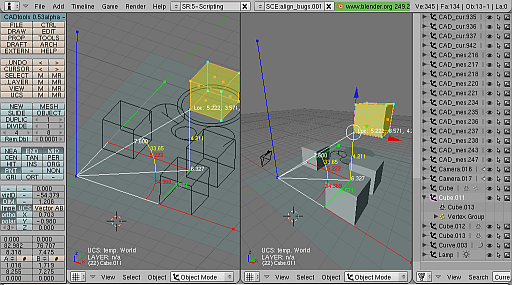 To run in full-feature-mode CADtools needs Blender-2.49b-CAD-edition. CADtools' development will focus on Blender 2.49b a while. Porting to newer Blender version will start as soon as the new python-API offers needed functionality. Unfortunately it is still not the case (2018.06.05). The long term goal is to rewrite the code to C/C++ and integrate into Blender under GPL-license. I will open the source code as soon as i get refunded my investments. I hope that the subscription model will help to manage this plan in reasonable time. and for companies/corporations under Site License. 2. The license is non-transferable. 3. Your copy of the software is personalized and password protected. 4. You can use CADtools for private and commercial purposes. 5. You can support CADtools development through subscription. 6. Subscribers get access to technical support and extensions for 12 months. 7. After the one year period ends, the software will no longer function unless the license is retrieved. - where did you learn about CADtools Project? 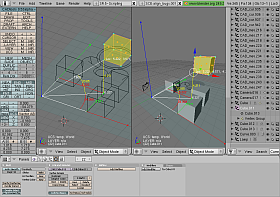 - is Blender 2.49b still an option for you? 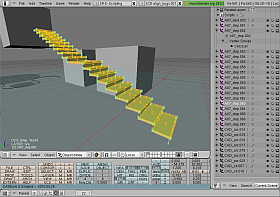 - do you need DXF-importer script? - do you need DXF-exporter script? These data will easy our communication. I will do my best to keep your data private! I will send you the software by email. CADtools development is funded by users via subscriptions/donations. and get access to extensions and individual support for one year. Business subscribers (with VAT-ID!) can get an invoice on basis of CAD consultancy services. From within EU (European Union) please use bank transfer. From elsewhere you can pay per credit card or PayPal. Two great community projects: wikipedia.org and blender.org make CADtools development possible. Please consider to support them on regular basis! Please write "CADtools - " at start of subject line of your email.